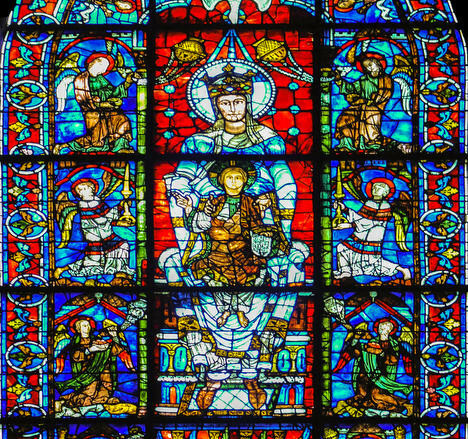 One of the best known and most loved windows in the Chartres cathedral is found in the south ambulatory. The four panels at the heart of the window, focusing on Mary (Seat of Wisdom) and her son, Jesus blessing, were made in the twelfth century. 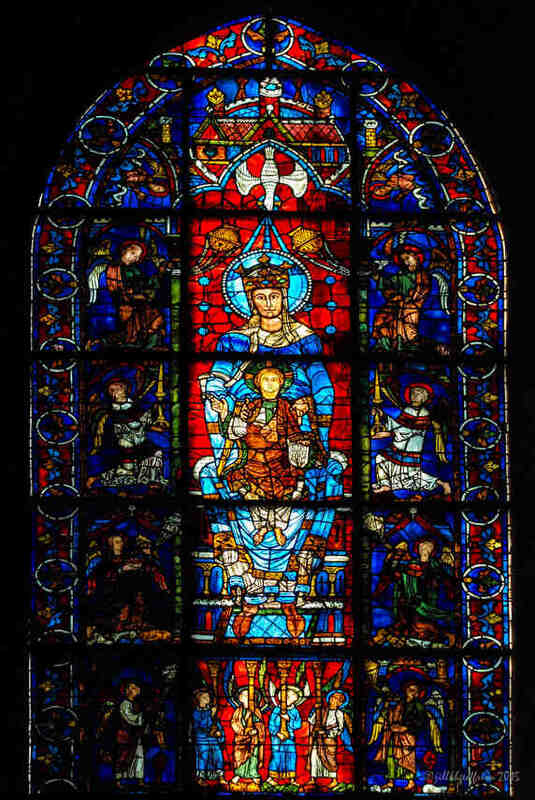 The window was found in the East of the previous cathedral. Notre Dame de la Belle Verrière window survived the fire of 1194. 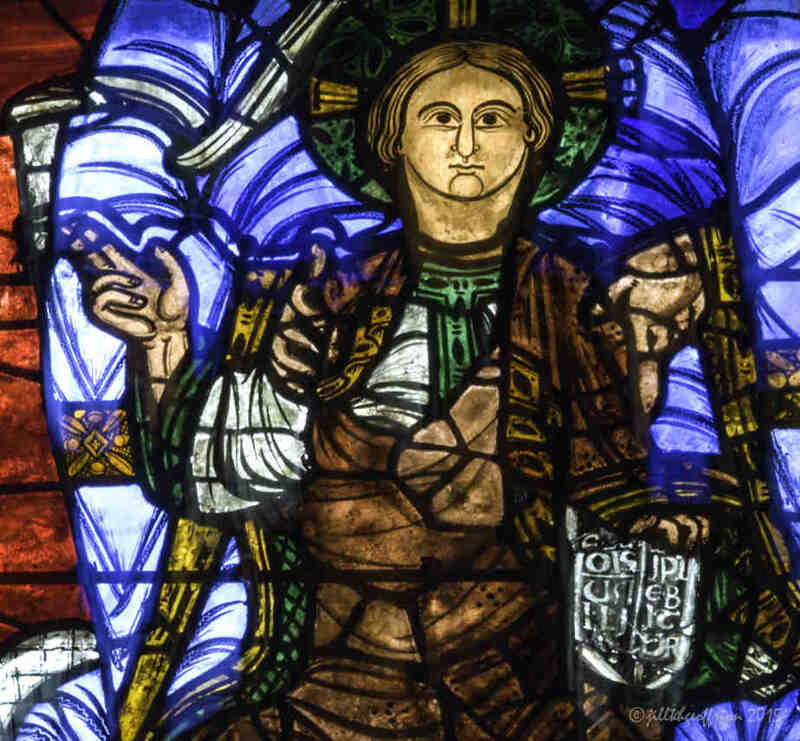 In the thirteenth century it was placed inside a larger window that included the depiction of Jesus’ first miracle at the wedding in Cana (John 2:1-11) and his three temptations (Matthew 4:1-11) and moved to its current location. Stand, kneel, or sit in front of the window of Our Beautiful Lady (in the south ambulatory outside the choir). 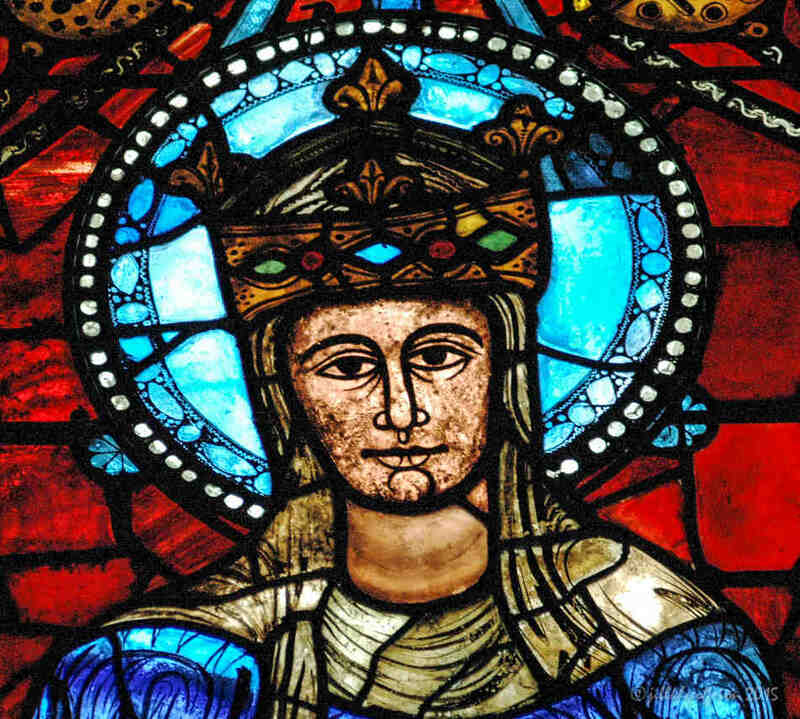 Don’t take your gaze away from this twelve and thirteenth century stained glass window for at least five minutes. Notice the different colors in the window. The blues, reds, greens, whites, yellows, browns and black. Choose one color and let it inspire your prayer for at least five minutes. While the bottom panels which depict Jesus’ first public miracle in Cana and the three temptations of Jesus are interesting, for the moment focus on the panels that relate to Mary with Jesus on her lap. Follow the advice of the Dombes Ecumenical Group. If you are Catholic or Orthodox, ask Mary to introduce you to her son. If you are Protestant, ask Jesus to introduce you to His mother. Let Mary look at you. Feel her gaze. What is being communicated? How do you want to respond? 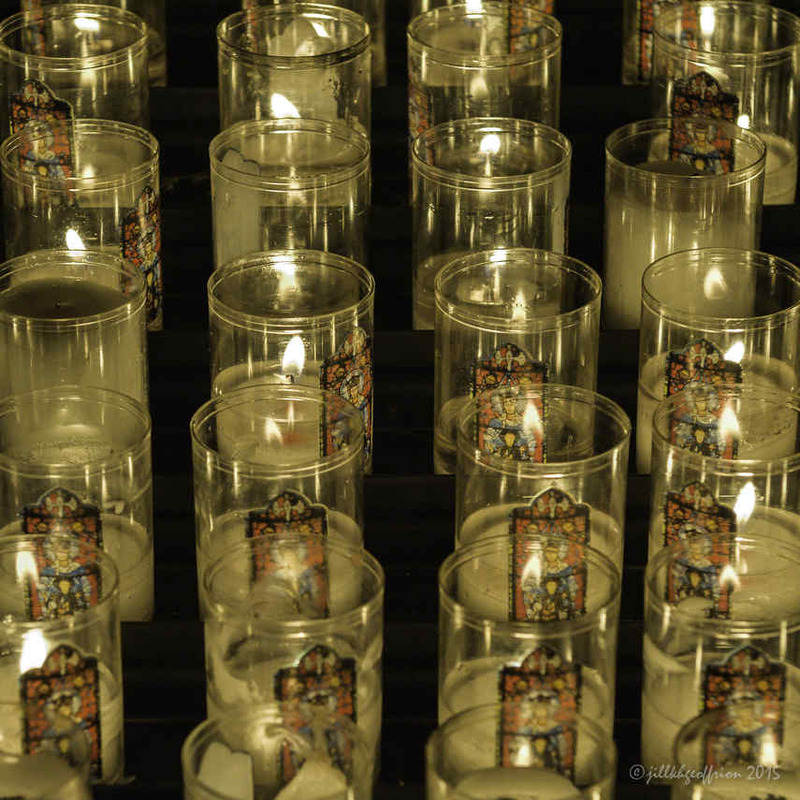 Light a candle as a physical representation of a prayer that you are holding in your heart. If you are near the window in the morning when the light is moving across it, watch the light change. When different parts of the window are illuminated, notice how you want to pray and follow these inner promptings. Depending on the light (time of day, conditions outside, and season) this window can glow. If it is glowing, ponder and pray about how God’s glow has touched your life and those experiences when you have been glowing form the inside out. After Praying, you may want to take a bit more time. Look at the window again. What are noticing now, as if for the first time? Journal as you sit with the window. Write a letter from Mary to you. Or, Write a poem about what you are experiencing. Imagine yourself as the different “characters” in the heart of the window. An angel (or different angels, they each have their own expression), Jesus on Mary’s lap, or Mary with Jesus on her lap.